The Corsair is a middling chassis whose variants are very well differentiated and lend to a wide variety of loadouts and playstyles. Hardpoint are usually high-mounted, but often spread across the entire mech. Uniquely, each Corsair variant has a different combination of arms - some arms are just small, high-mounted pods with no sidewise articulation, while others are proper arms which are large, wide, and carry low-mounted weapons but have proper articulation. You can tell the large arms in the mechlab because they will have lower-arm actuators in them. Durability is hit and miss. While the Corsair has somewhat substantial quirks, janky asymmetrical hitboxes, and can twist to spread damage rather decently, the center and right torsos are still very easy to isolate. This is a problem for builds that rely on the low-mounted arms, or right-sided weapons, but not as big of a deal for all-high-mounted builds which can ridge peek. Be cautious of over-twisting, because the rear side torsos can be exposed very easily. A couple ballistic paired with enough energy makes this variant fairly flexible, but it is the best-suited variant for mid-range builds. Quad AMS is a bonus, and you don't need to take the AMS, but it's a shame not to. A bit of an oddball blending two kinds of UACs and a PPC, but simple enough to play. Excellent mounts and AMS let you peek, double-tap, and reposition with reasonable speed and minimal risk. Dakka (UAC+ML) w/AMS - This alternative trades some weapon synergy and range for better burst and sustain. The medium lasers will essentially serve as close-defense weapons, not especially useful at the optimal range of your UACs, but hady for close targets. Jam-free version of the UAC build. A little more friendly to play thanks to simpler weapons, but with more of its firepower in energy weapons and no double-tap potential, burst DPS suffers. RAC2 requires long bursts of facetime, but rewards you with heat-efficient high DPS. A slow, long-range mech with quad AMS. Definitely a map-specific pick, strong as a specialist, but vulnerable to highly mobile enemies and difficult in standard quick play. Very high mounts make this one of the best peeking mechs in the game. If you find the ERLLs are too hot or unnecessarily long-ranged for quick play, swap them to standard LLs. Maximizes pinpoint, front-loaded damage. Excellent mounts and a nasty pinpoint alpha let this mech rapidly knock chunks off opponents, but it runs hot, so it also drops AMS for more heat sinks. Alpha twice, then switch to the AC10s only if you need to sustain fire. The dual ballistic makes this variant conducive to large weapons like AC20 and HGauss, so it is well-suited close-range playstyles. Generally all weapons will be high-mounted. Everything is high-mounted with moderate alpha, moderate DPS, moderate heat, moderate range, and good synergy. Cold-running, hard-hitting heavy gauss with SRMs to boost DPS. SRM4 cooldown lets you fire the SRMs twice for every gauss shot. Can swap also HGauss for LB20 and take a STD325. 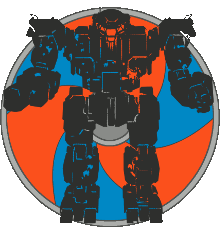 A common Fafnir build on a mech five tons lighter, but with some key disadvantages. The HGauss are not protected by armor quirks, the offensive quirks are neglidible, and there's no crit reduction quirk. Doable, but a suboptimal chassis for the weapon loadout. Strong brawl build. LB10s cycle fast enough to give very narrow windows for twisting, so torso speed nodes are recommended. All side torso mounts keep the weapons high and tight to the cockpit. Reliable, close-range DPS. Another brawler, with the MRM30s swapped to MRM20s for tighter spread and more missile volley HP. The change requires stepping up to a slightly larger LFE engine, so keep your STs alive to make sure your DPS doesn't get compromised. This demands more of the pilot than the MRM30 version, but has the potential for noticeably higher performance. Nasty brawl build. Precise, with high-velocity weapons and massive crit damage potential from the twin LB20s. Fortunately, this mech has a modest universal heat generation quirk to keep the toasty weapons under control. Since it runs warm, and has to play at close range to be most effective, this 6R build punishes your mistakes heavily, but if you land your shots, it's devastating. High and tight mounts give it excellent convergence, so while there are other assaults that can run this build, the Corsair 6R is probably the optimal pick. Six ballistics in somewhat low arms makes this similar to a King Crab. Although the arms have side-to-side articulation, the actuators somewhat limit build diversity. AC2-spam is a natural fit. A cooler-running twist on the UAC variant, with a little less burst, but superior sustain. Use every weapon until you're near cap, then fall back on the AC2s alone to cool down. Good synergy for extreme-range engagements and area denial. Precise, long-range dakka. Fans of the Mad Cat MkII B or Mauler MX90 may appreciate this build, but the mounts are much lower and wider than either, so the mech will have convergence issues. With good movement to spread incoming damage and precise aim, it should be a solid area-denial mech. This is a variant with all high mounts, however the awkward mix of hardpoints means that it doesn't excel at any one thing. It pretty much requires large ballistics or missiles to make a reasonable build. A close-range gaussvomit build very similar to the Banshee 3S, but probably strictly inferior thanks to broader mounts and modest durability quirks. The heavy gauss rifle is in the large right torso, with no armor quirks to protect it. It can pump out a 65 alpha 3 times before heat-capping, which is meaty, and the heavy gauss rifle is in a very good mount, but overall, there are better mechs for this playstyle. Offers a high volume of fire with decent sustainability and a fast STD engine. Best used at closer ranges where the MRM spread is minimal and everything can be alpha'd together. Oriented toward mid-range trading, this offers high alpha and range with decent pinpoint at the expense of substantial heat. Remember that MRMs require lead at longer ranges while the lasers do not, so don't fire them together. The ghost heat on dual MRM40 can generally be ignored. The COR-7R is awkward due to having three missile hardpoints crammed into the slot-limited head and CT, while having ... not many other hardpoints. This severely limits the number of builds it can take. The torso ballistic, while high-mounted, is in the fragile right torso and may tend to crit out. It does have all high mounts, but without the hardpoints for long-ranged loadouts. Fairly durable brawler with much higher mounts than several other options with similar loadouts. Capable of some cheeky early peeks before engaging. Good burst DPS, but keeping the LFE intact will require learning to work well with the Corsair's peculiar asymmetrical hitboxes. Simpler, slower, alternative to the AC20 build thanks to a cooler-running, higher-velocity LB20. Better sustain, but gives up a big chunk of speed to get there by dropping to a smaller STD engine. The Ravager hero is similar to the COR-7A, but trades the AMS for more energy hardpoints. This is reminiscent of the Clan's 'Deathstrike' hero, capable of running dual ballistic builds, albeit the left arm here is low-mounted. Swaps large lasers for ER mediums, more heat sinks, and a much bigger engine. Better sustain than the large laser version, but less burst and range. Quick for a 95-tonner, so this is an excellent pick when high mobility's required. Arguably the IS's best gaussvom mech. The Deathstrike has reached the Inner Sphere. Powerful gaussvom build. A little range-limited and slow compared to Clan equivalents, but still potent. The common Corsair issue with gauss rifles in the RT remains, so shield that side well. A fast, close-range alternative to gaussvomit. Burst and sustain are both very good. This is a higher-risk playstyle, since it has less range to play around, but it's still a tough customer. The Broadside sadly usually relies on low-mounted hardpoints in both of its wide arms. To offset this deficiency, it has one of the strongest gauss cooldown quirks in the game, so it's a good idea to maximize that edge. Other builds are possible, but often play better on other variants with better mounts. This ignores the excellent gauss cooldown quirk, but still sneaks out a bit more burst DPS and speed. Possibly a better fit for high-mobility quick play. Quick-cycling AC10s are not as well suited to poke-and-fade playstyles compared to gauss rifles, but neither are the Broadside's low and wide arm mounts. Follows the quirks. The dual gauss rifles are fairly safe on the Corsair's left side, where its hitboxes are best. A little light on heat sinks in the name of dual AMS, and compromised by fairly wide, low arm mounts. Solid for a free hero, but inferior to the COR-7A and Ravager for this playstyle. Strictly inferior to the COR-7A with the same build thanks to dramatically worse mounts, but it's still possible to get 50 PPFLD out of a free hero. Low arm mounts require more exposure and risk.